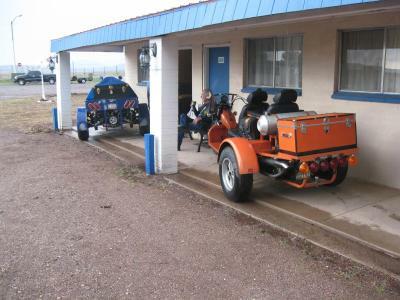 The Stagecoach 66 Motel is a fun part of the 66 experience. 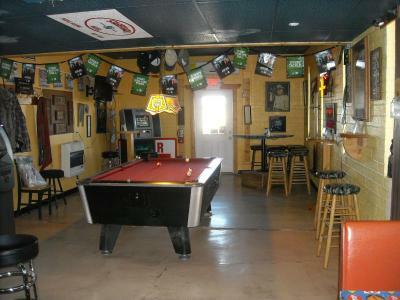 Our Spy vs. Spy Room was fun, clean and comfortable.. The pizza at the on property bar was great! 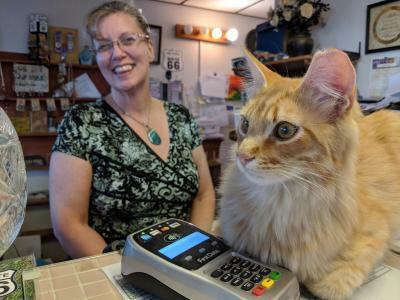 It had a friendly staff. 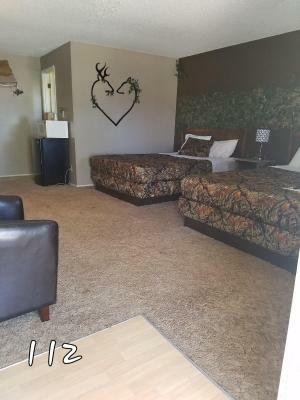 It had unique themed rooms. This was my dogs first road trip and this motel couldn't have been better. 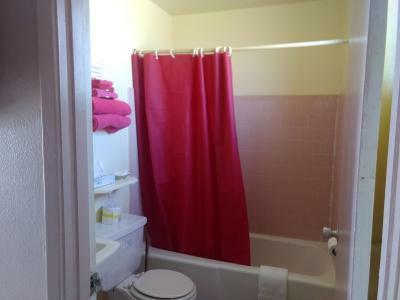 Large, spacious room with tile floor (just in case). 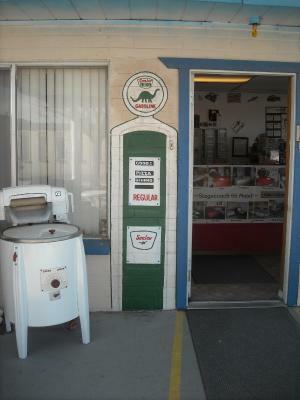 Then outside they have a large area in the middle for your dog to do their business. 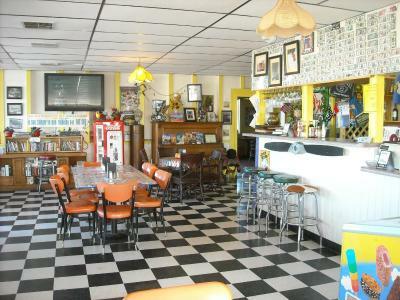 They also have a pizza restaurant and bar on site, and the pizza is actually pretty good. Overall, a great stay! 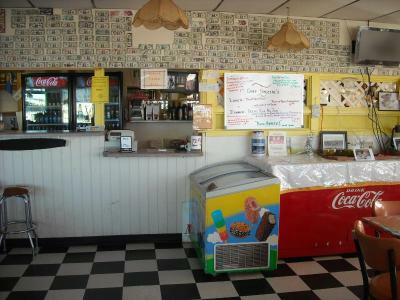 The staff work at the hotel and the one site restaurant, they were very helpful and kind. 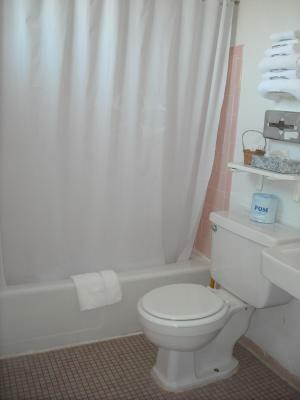 The room was dated, but very clean and smelled good. They take care of the hotel. The area has amazing stars, but there is not much else around. 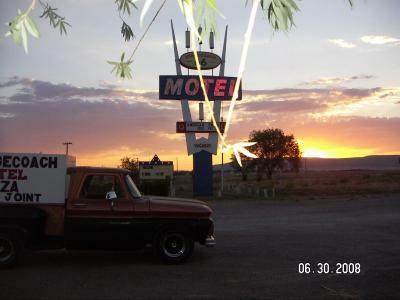 Its a great stop on route 66 if you need a place to stay the night. Very courteous staff. Clean room. Easy parking. Quiet overnight. Good tv. Spacious comfy bed. 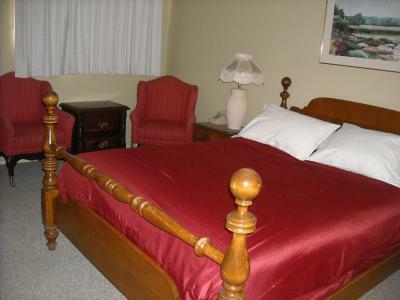 Nice and special theme rooms... very friendly staff who want to go the extra mile to make your stay special. 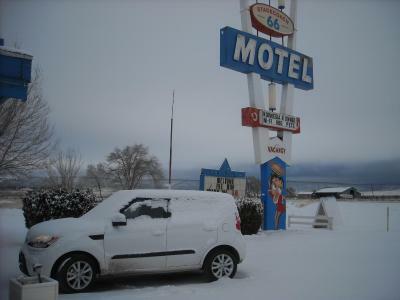 The location was perfect for the beginning of a drive on Route 66 from Seligman to Kingman from Williams. 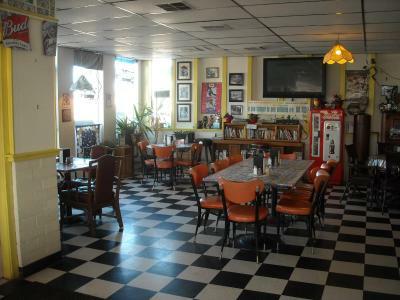 The staff were very very nice and the bar and pizza place had very good food, yummy Christmas drinks on offer and felt very much like the 60s. 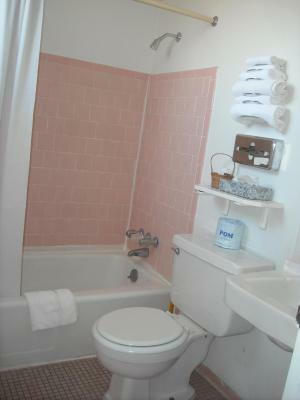 The bathroom was clean if a little old but for the price it was great - especially loved the strength of the shower which was better than the high-end hotels we stayed in on our 3 week USA trip. Very nice place to stay for the price. Rooms are bigger then usually! Theme rooms are decorated very appropriately. The staff was amazing, both evening and morning crew. Super helpful with a computer glitch, that had us on a different date! Late evening arrival hotel full, they cleaned a room to acomidate us. 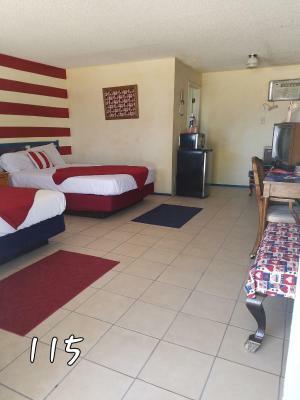 The hotel while older building had updated and themed rooms Betty Boop, John Wayne and more. 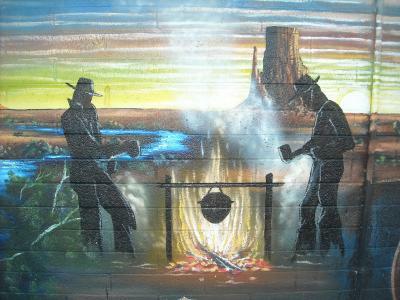 Great place to stay when seeing the Grand Canyon, avoid the busy towns. 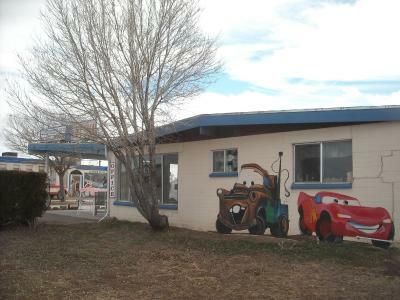 Stagecoach 66 Motel This rating is a reflection of how the property compares to the industry standard when it comes to price, facilities and services available. It's based on a self-evaluation by the property. Use this rating to help choose your stay! 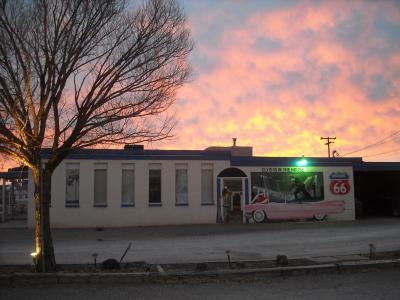 On historic Route 66, this Arizona motel features themed rooms, has an on-site bar and restaurant and serves daily coffee, tea and sweet rolls. 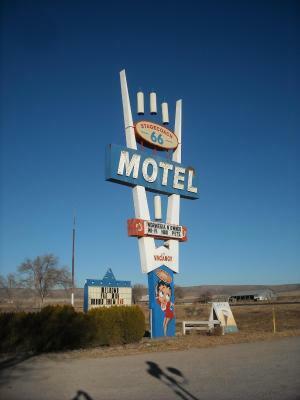 Ash Fork Route 66 Museum is 25 miles away. 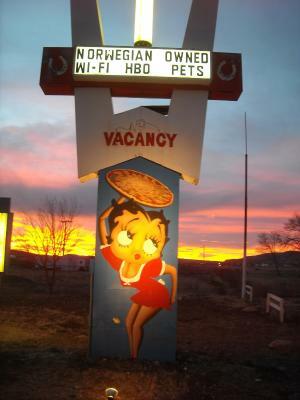 Free Wi-Fi, a TV, a refrigerator and a microwave are featured in the unique, individually decorated rooms at Stagecoach 66 Motel. 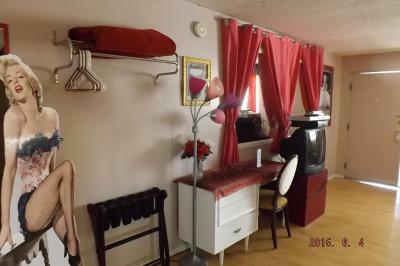 Each air-conditioned room has a desk and sitting area. 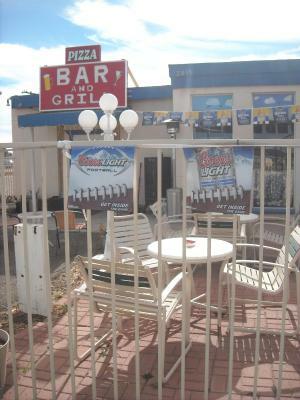 Located at Stagecoach 66, The Pizza Joint features homemade, hand tossed pizza and a variety of lunch and dinner items and chef's specials. The restaurant is open Wednesday through Sunday. 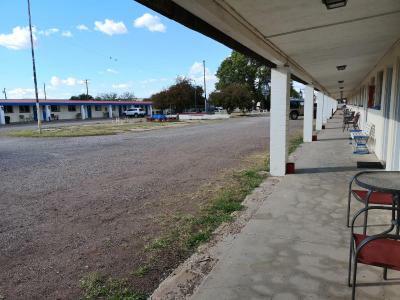 Grand Canyon Caverns and the Grand Canyon Caverns Airport are a 28-minute drive from this motel. 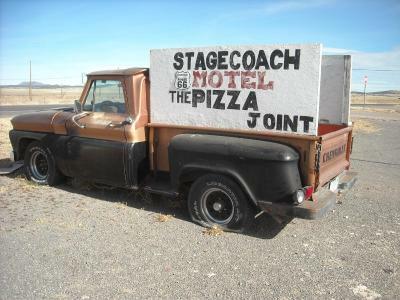 When would you like to stay at Stagecoach 66 Motel? 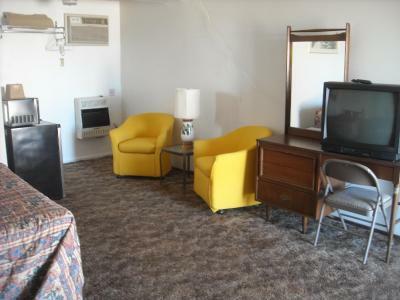 This non-themed room features a TV, a microwave and a small refrigerator. 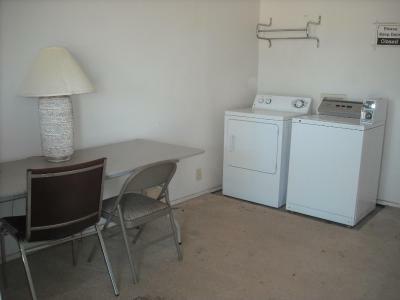 This room features a microwave and a small refrigerator. 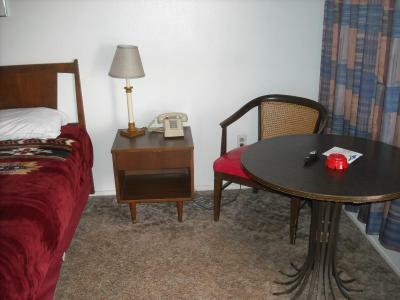 This themed room features free WiFi, a small refrigerator and a microwave. 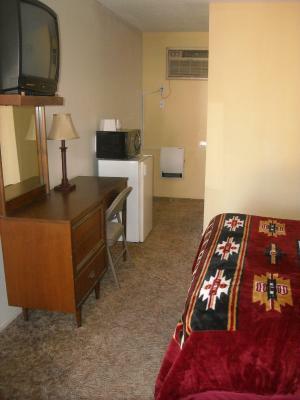 This room includes free WiFi, a small refrigerator, and a microwave. A TV is also included. 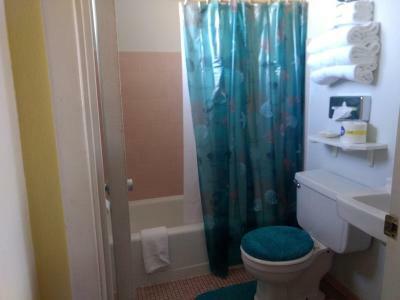 This themed room features a microwave and a small refrigerator. 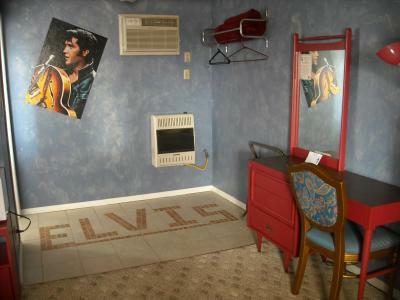 This themed-room features a TV a microwave and a small refrigerator. 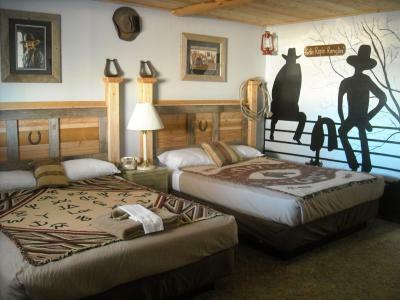 This cowboy themed room features a TV and a bar-styled sitting area. 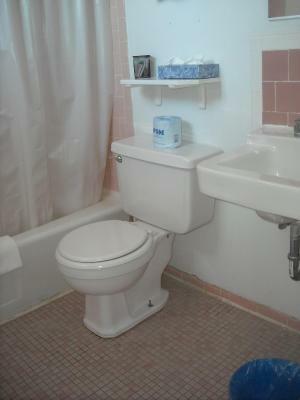 A microwave and a small refrigerator are also included. 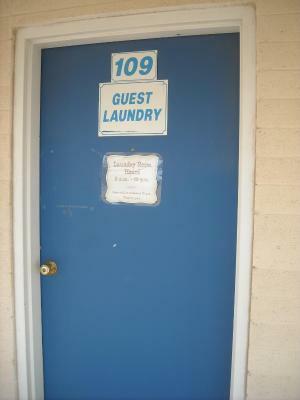 Original 1960's motel has 40 ground level rooms with parking right in front of each room and the Pizza Joint restaurant with full bar on premises so you can eat, drink and sleep all in one place! 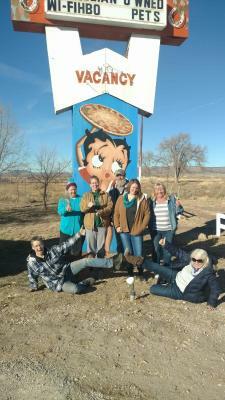 House Rules Stagecoach 66 Motel takes special requests – add in the next step! 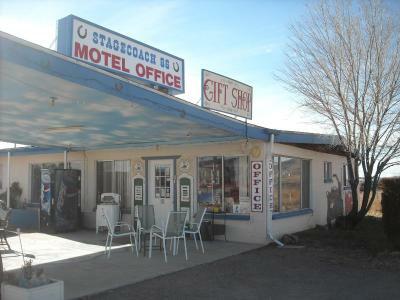 Stagecoach 66 Motel accepts these cards and reserves the right to temporarily hold an amount prior to arrival. 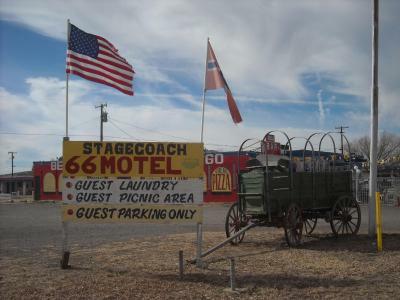 Please inform Stagecoach 66 Motel of your expected arrival time in advance. You can use the Special Requests box when booking, or contact the property directly using the contact details in your confirmation. I reserved a King sized bed room and they let someone else have it. There were 2 people and 2 xl dogs. Ended up with a queen bed and one of us slept on the floor. 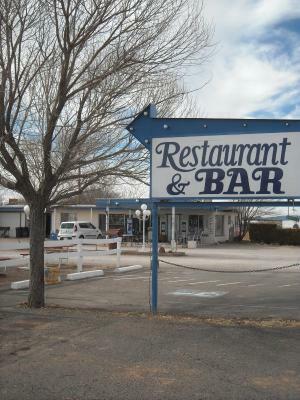 It was on Route 66 the staff was nice. Beds were hard No heat!! Noisy trains going past all nite. One room occupants were very cold during the nite and there were no extra blankets. 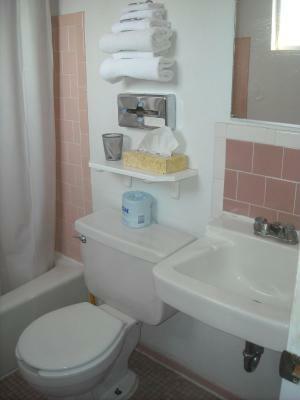 Bathroom taps were a bit temperamental in one room. The trains we realise were beyond the control of the property. As we went to bed quite late it was too late to ask for more. Room was cold when we went in and the heater never caught up so it was still cool when I got out of bed in the morning. Manager wanted to charge me 50$ more thank god I check my stuff! The area does not have much around, but its great for an overnight to get the real feel of 66 and see some stars. 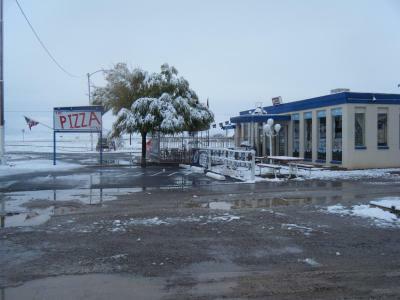 There is a restaurant onsite, and the pizza was not bad. 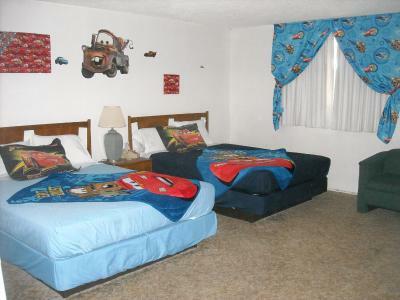 Some of the rooms are themed and that could be fun for kids. It seems like a safe area. It was an unbelievable 11deg cold outside on this night. 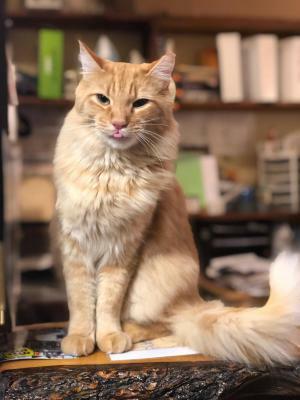 The heater was on max but felt just barely enough. Maybe offer an extra space heater for nights like these. Fortunately, there were extra blankets available.